A federal judge in Washington state on Tuesday blocked a Trump administration directive to block funding to a Planned Parenthood program to prevent teen pregnancy in Western states. U.S. District Judge Thomas Rice said blocking funds for the Teen Pregnancy Prevention program could hurt the public interest. "The Court finds that [Health and Human Services] arbitrarily and capriciously terminated the TPP Program," Rice wrote in his decision, according to the Spokesman-Review. "The Court determines that the public interest weighs in favor of [Planned Parenthood], as it would prevent harm to the community...and prevent loss of data regarding the effectiveness of teen pregnancy prevention." In February, HHS rescinded funding of the TPP program, which was scheduled to go through 2020, on grounds that it was unsuccessful. "Teen birth rates have been declining since 1992 and less than 1 percent of the teen population has been served by TPP," an HHS spokeswoman told NPR at the time. "Of the 37 projects funded and evaluated for a 2016 report, 73 percent had no impact or had a negative impact on teen behavior." But Panned Parenthood argued that the program, which was first implemented in 2010, was designed to test different program to find the most effective strategies to reduce teen pregnancy. "Research doesn't happen overnight. This was set up as a five-year program," said Nathan Castellano, an attorney representing Planned Parenthood, according to the Spokesman-Review. "Pulling the plug on these programs is extreme. It causes irreparable harm. Teens won't get the benefit of the program, and the general public won't get the benefit of the research." Planned Parenthood also said the teen birth rate in the United States has dropped by 41 percent since 2010. 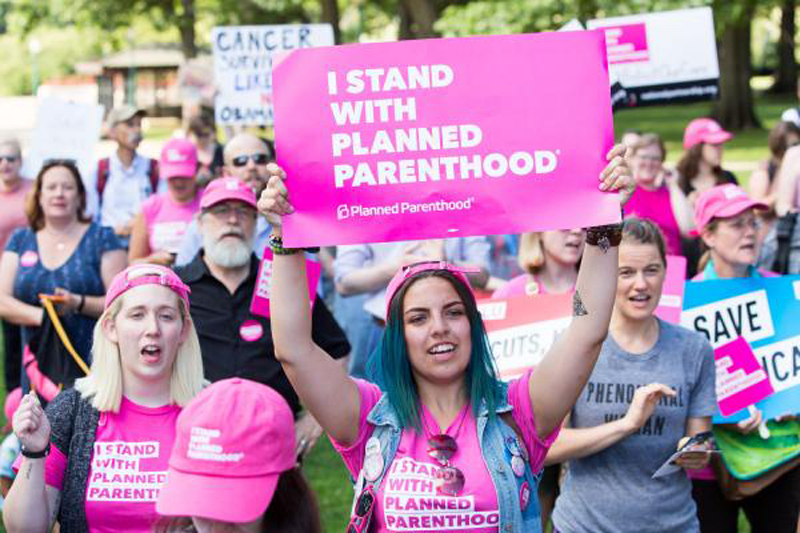 The lawsuit, which was filed by Planned Parenthood in Iowa, was joined by affiliates in several other states, including Alaska, Hawaii, Iowa, North Carolina, South Carolina, Louisiana, Texas and Nebraska.